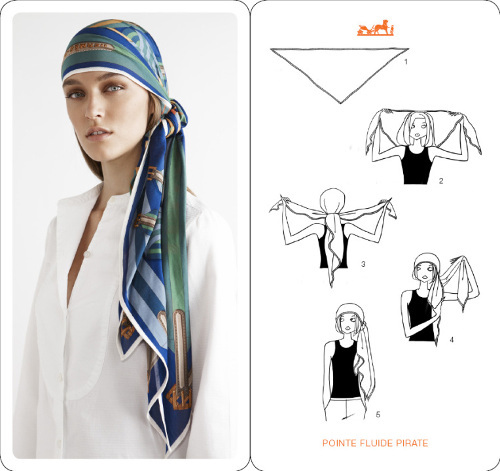 Hermes makes some of the most stunning scarves, which can be used in a number of versatile ways. 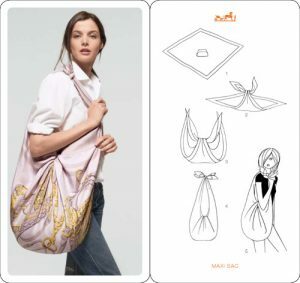 Not only can a Hermès Silk Scarf decorate the neckline in different ways, but it can also be made into a bag or even a belt! 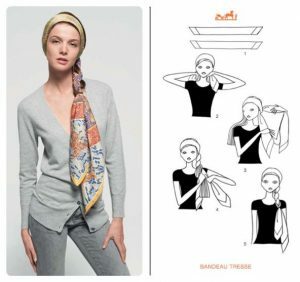 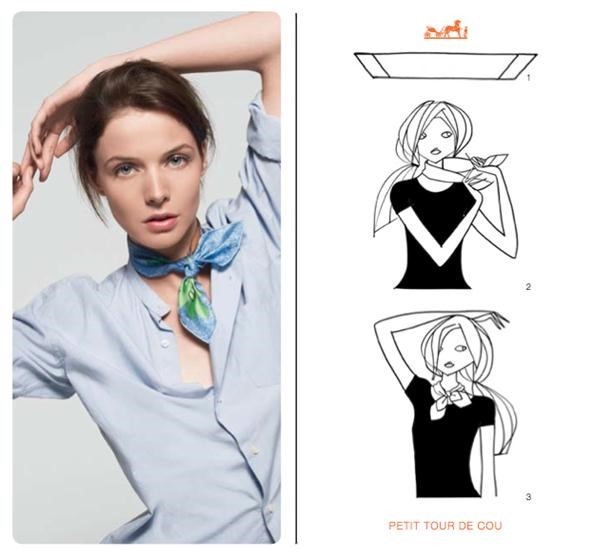 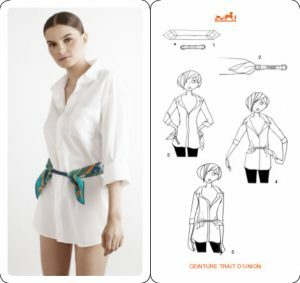 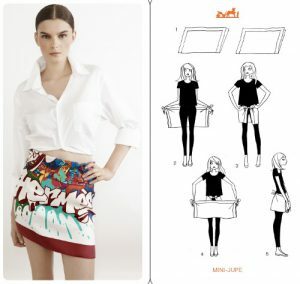 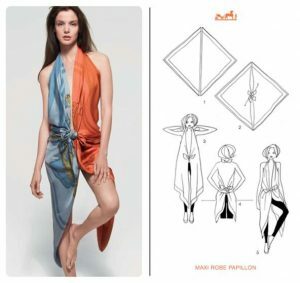 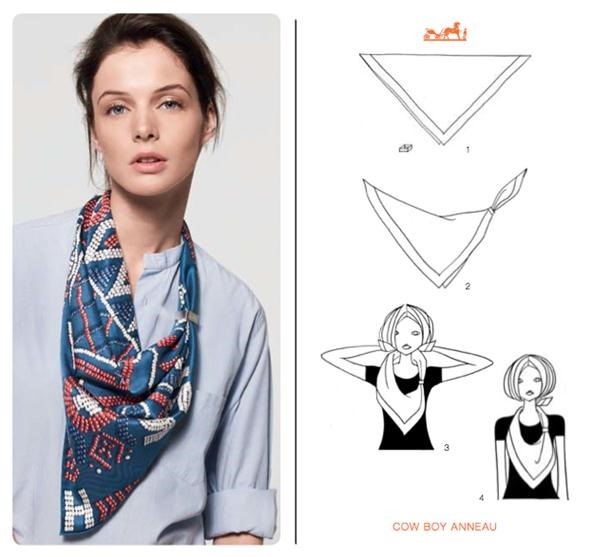 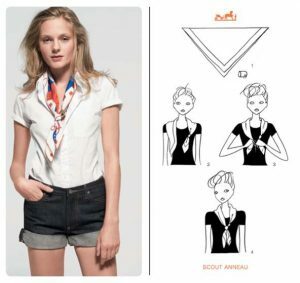 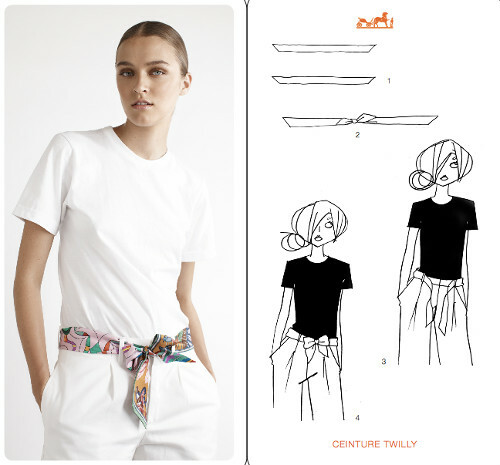 A Hermes Scarf can turn an ordinary outfit (whether casual or formal) into an extraordinary one with some creativity and styling techniques. 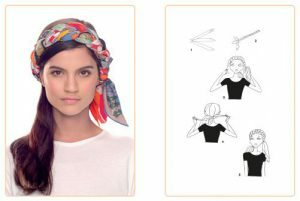 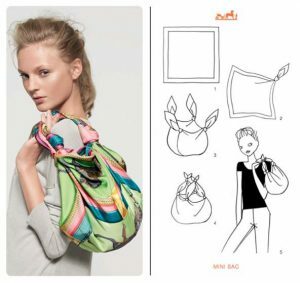 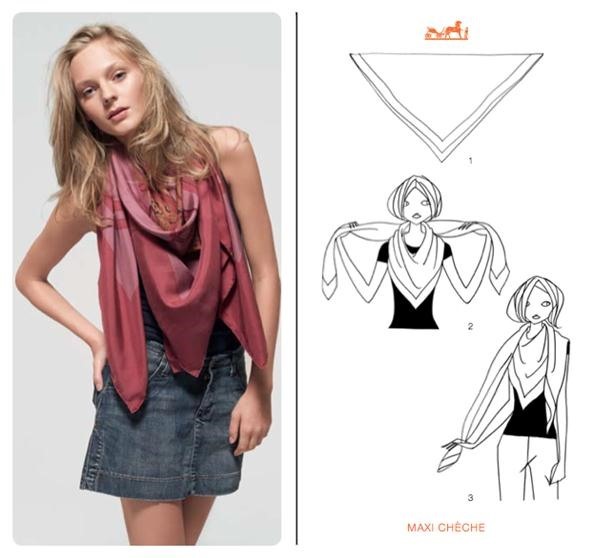 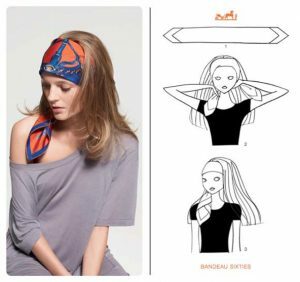 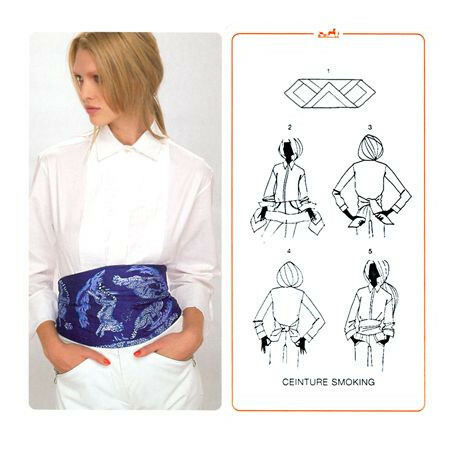 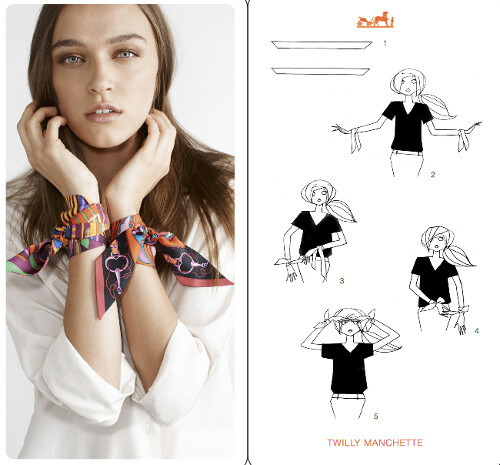 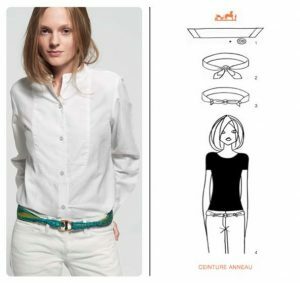 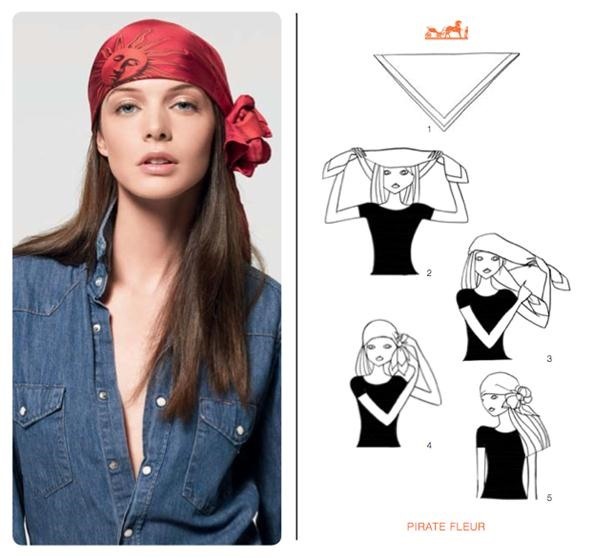 You can tie it as a scarf around your neck, or wear it like a belt around your waist or make it a headband. 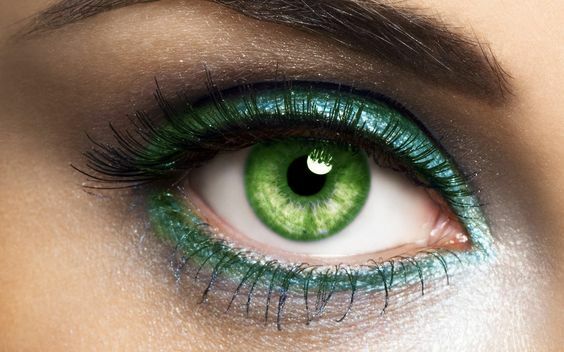 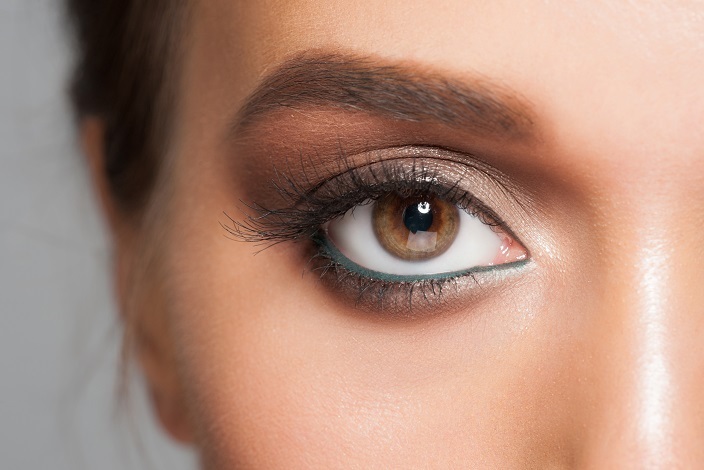 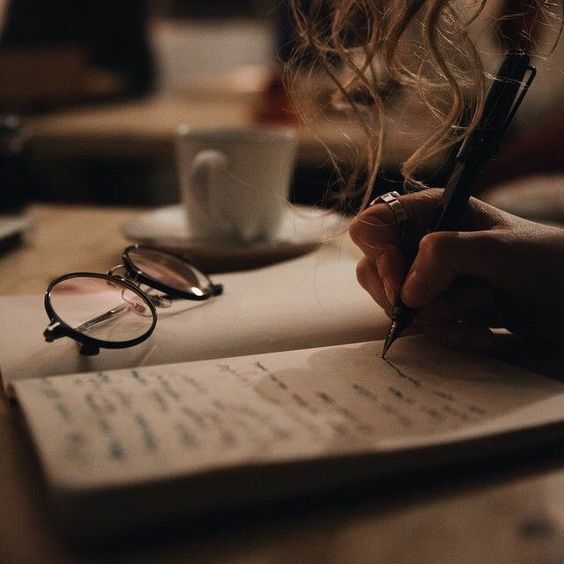 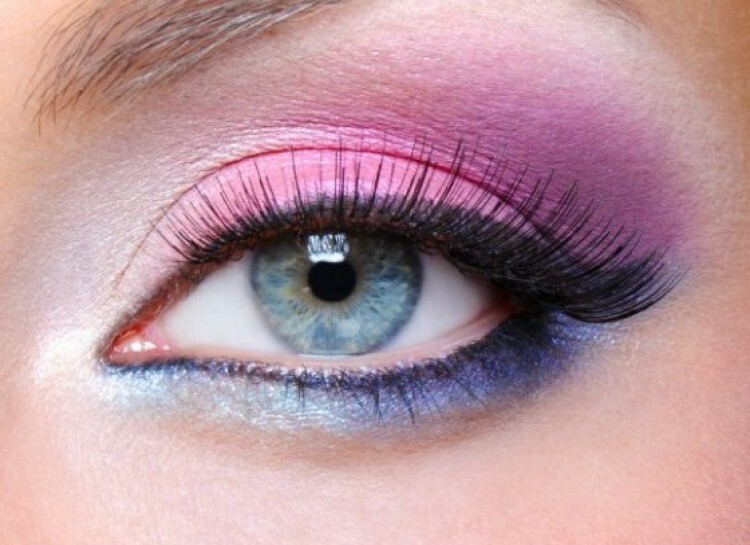 Some are outlandish, while others are wonderfully clever. We’ve put together a bunch of knotting techniques to guide you for your Hermes Scarf. 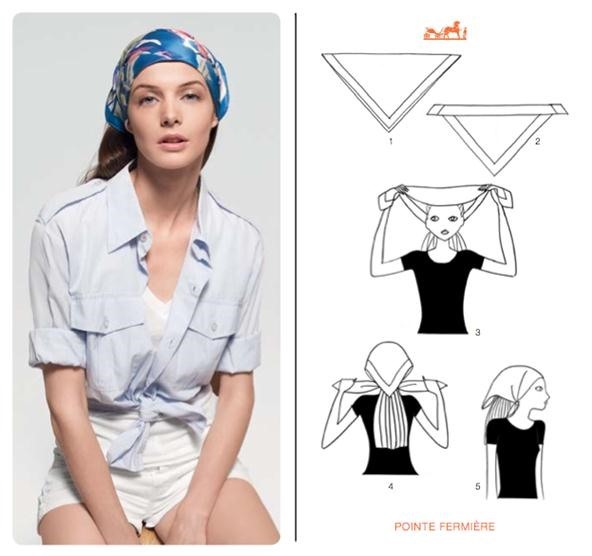 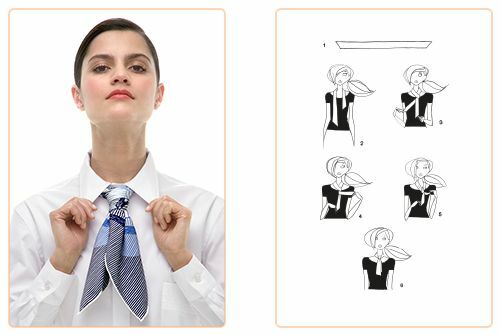 Hermès, who are famous for their silk scarves sell boxes of “knotting cards” which show different looks and how to wear a scarf the chic way. 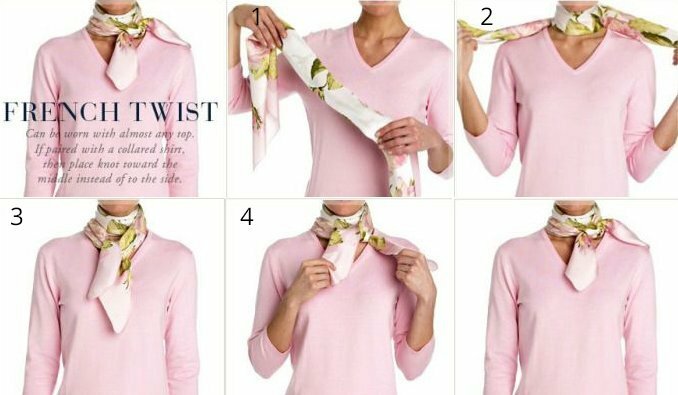 Tie a knot on one side of the scarf. 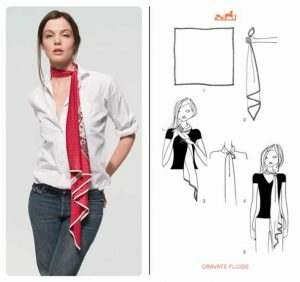 Tie it around your neck making this pattern. 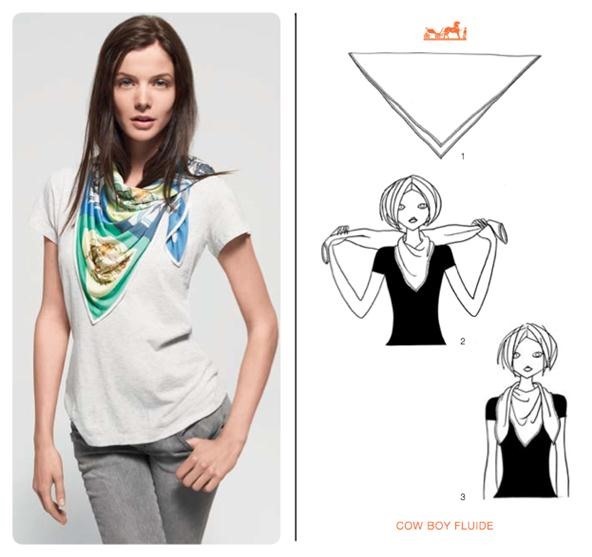 Now wrap it around your neck like a stylish neckpiece. 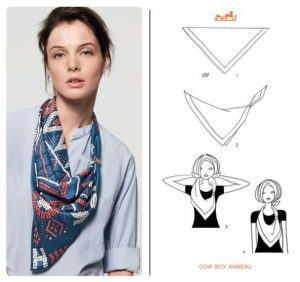 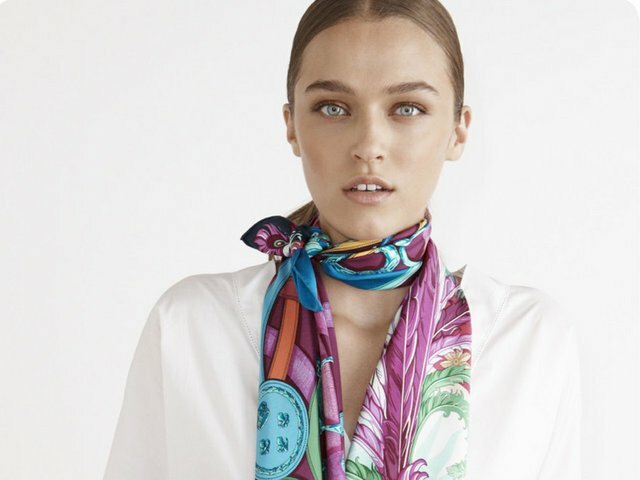 Get Your Hermes Silk Scarf for Women on Amazon Today! Take it around your neck. Tie a knot with loose ends for the cool look. 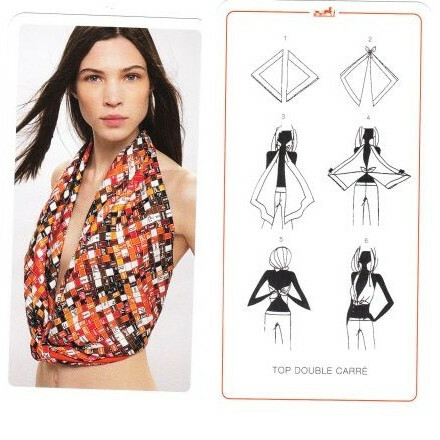 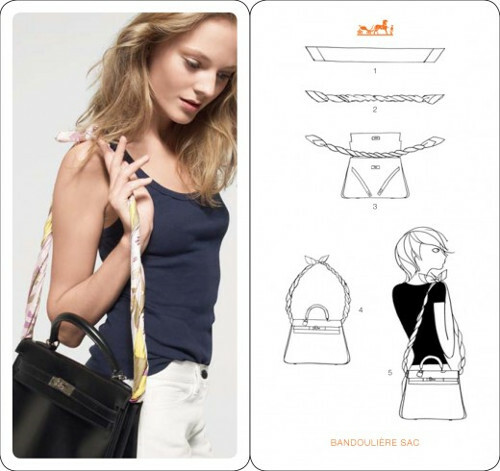 Get Fashionable Ribbon Hermes Scard Here! Fold the scarf into a thin strip. 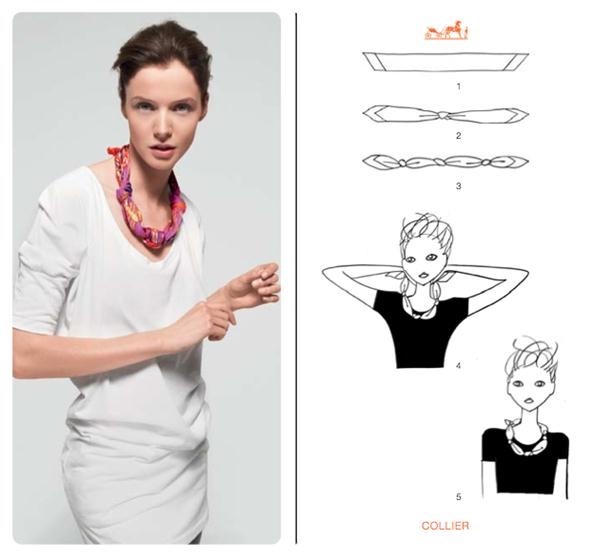 Tie a knot to make it like a choker necklace.